We had such a fun weekend! My brother and his family were in town for a long weekend visit. I love it when they are in town. We spend all the time we can with them while they are here. My kids love spending time with their cousins. They spend hours and hours and hours in the sandbox at my parents playing with cousins. The amount of sand that those kids were covered in was amazing. I loved hugging all those sand covered kiddos. Nothing makes me happier than spending the weekend with all of my family. Unfortunately, a long busy weekend was the perfect storm for me to end up with some complications from my treatments...so I landed in Urgent Care yesterday. Yesterday was rough! I was really really frustrated and just mad. Today is a new day and I'm doing better. I'm excited to spend some time at my desk creating. That's the best medicine for me! 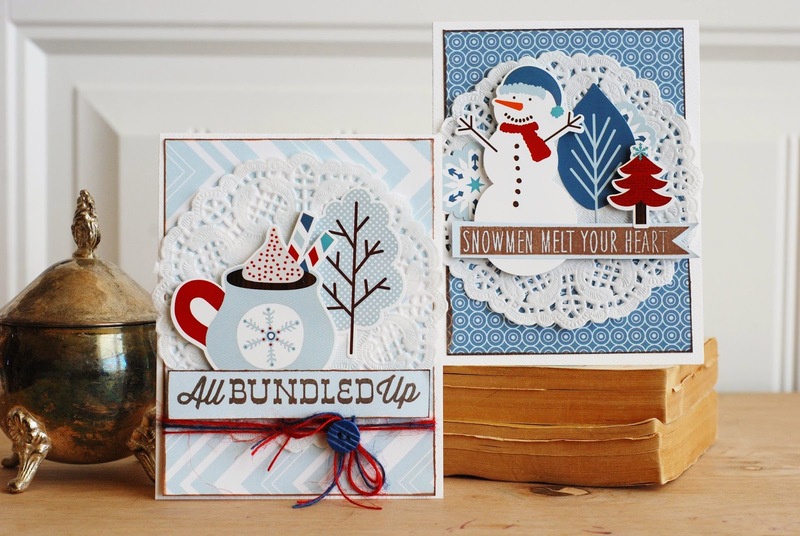 Today I'm happy to share a couple of cards that I created with the Carta Bella Bundled Up collection. This collection is perfect for winter photos, perfect! It's full of shades of blue with just a splash of red! It's adorable! 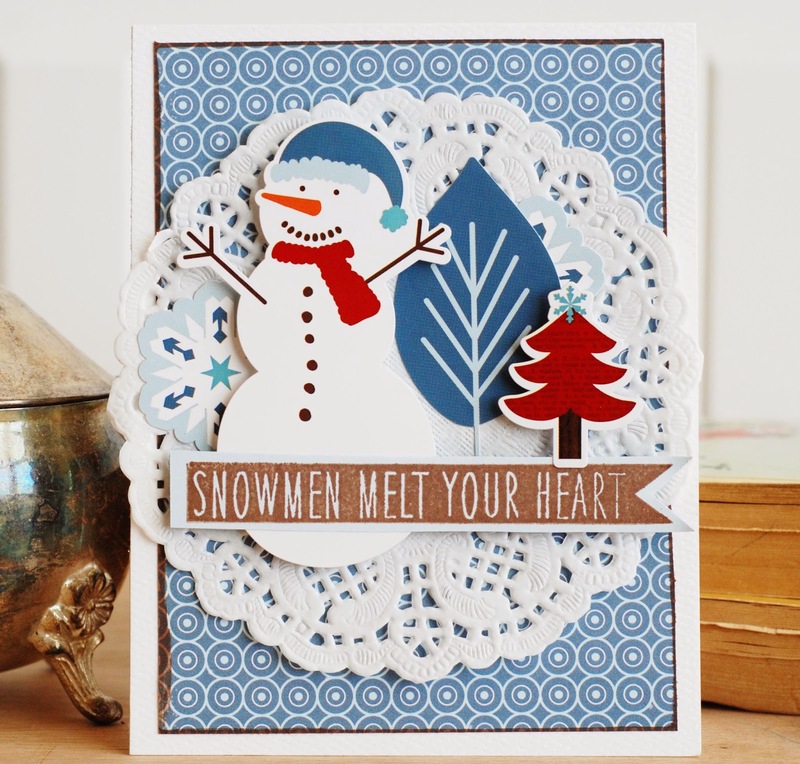 These cards were so easy to create! 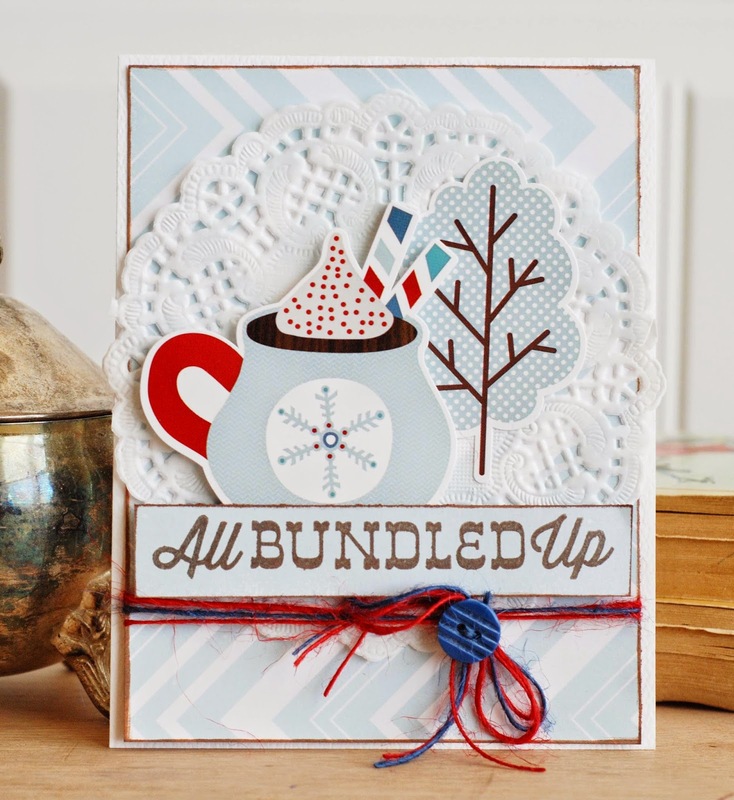 It's simply a few stickers, a doily, and some patterned paper backgrounds. I did stamp the sentiments on these cards but the stamped sentiment could easily be replaced with sticker sentiments to make them even easier. And who doesn't love a cup of hot chocolate in the winter? I know that's one of the only things I like about winter. Happy Monday! I'm hoping you can spend some time creating too!